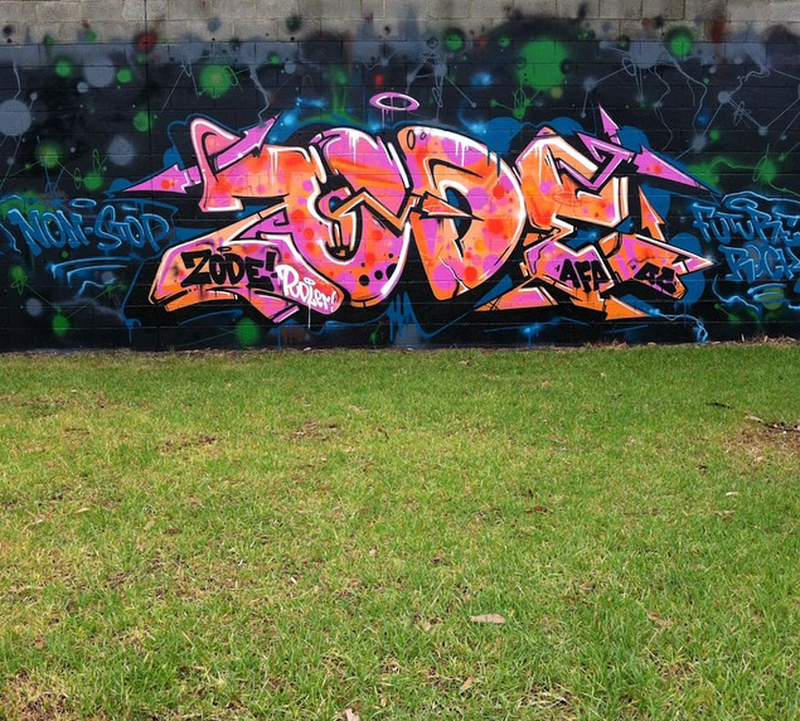 Was pretty stoked when Zode from Melbourne painted this outline that I drew in his blackbook. 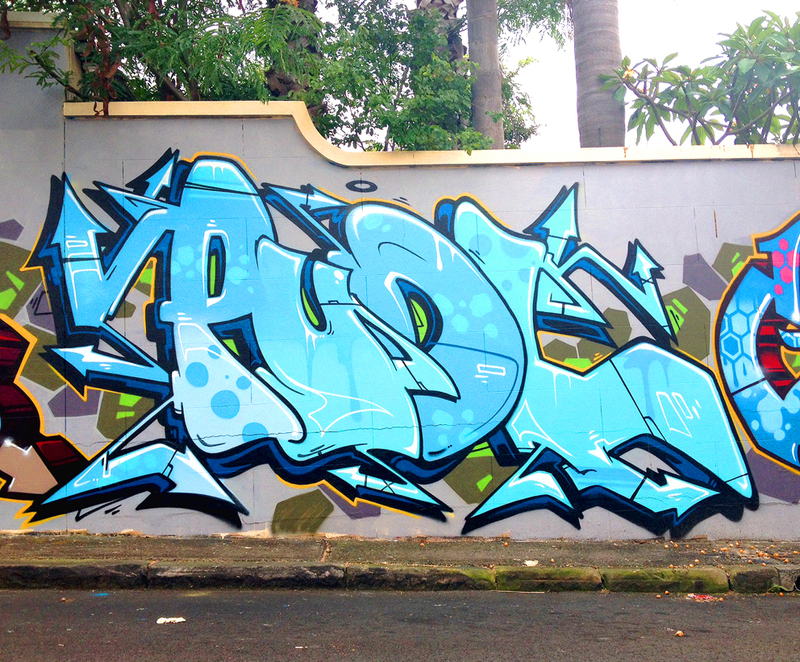 Nice execution bro! 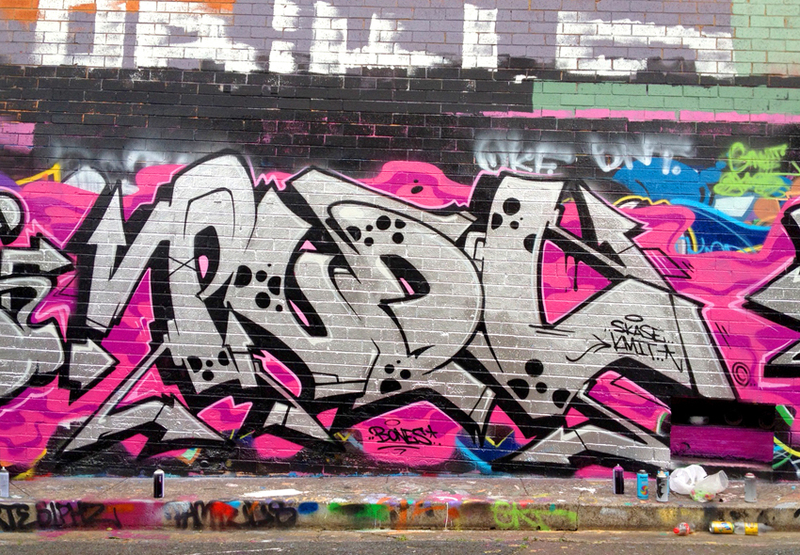 Boris, PudL, Vamoe, Foes ….DFC’s In the Lane. 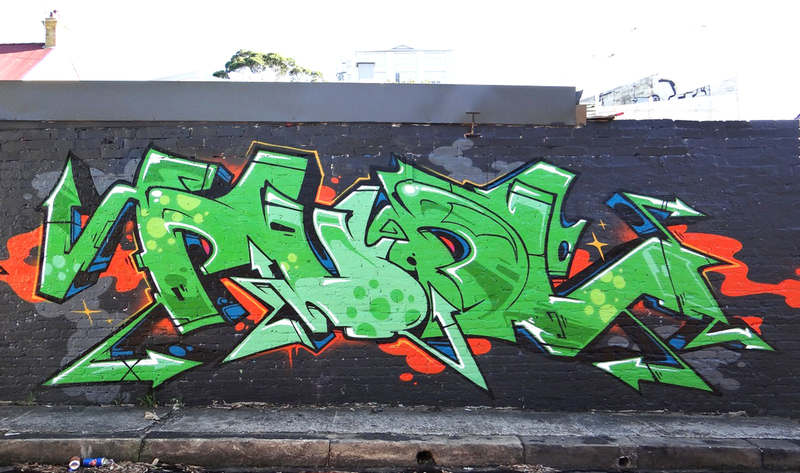 Blue one in Surry Hills.